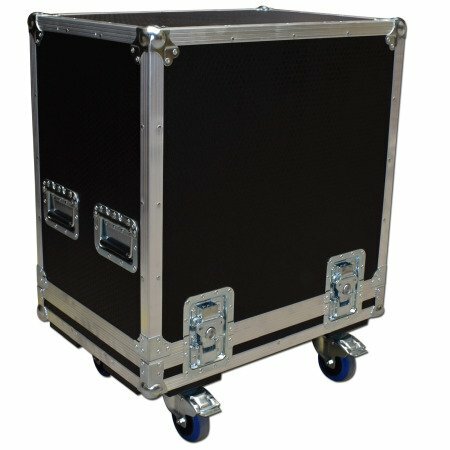 The Flightcase Warehouse 4x12 cab case is a custom built flight case designed to protect your cab/combo whilst on the road. This flight case is designed in house by our design team and manufactured using Penn Hardware with ultra strong hexaboard panels. Our sales team is always on hand to discuss your requirements if this flight case spec does not suit your needs. All of our cases are designed and built around the equipment to ensure maximum protection while keeping to the minimum size, which means the case is no bigger than it needs to be. Check out our Latest Deals for great bargains! * All prices are inclusive of VAT! Flight Case for Marshall 1959 HW, Cabinet 5 out of 5 based on 9 ratings. 9 user reviews. I originally ordered the flight case on-line, however, I was very impressed to receive an email checking the exact specification required as the Company wished to ensure that the case exactly met our requirements. The whole process was excellent, and during a couple of phone conversations, I found the staff both friendly and professional. The case has been delivered and does indeed meet our requirements.Brilliant! Absolutely over the moon with my flight case. Brilliant quality and service. Excellent service and fast delivery, a happy customer! Excellent service, excellent product. That's all I need to say! The flight case for my artisan 30 is brilliant and is really well built, will be ordering stuff again in the future! Got my flightcase for Ampeg 410 HLF today, fits my cab perfect. Solid built flight, and looks great too! Highly recommended!! Good comms, fast delivery. Case was very well made and fitted the combo perfectly. Very pleased, thanks! Totally worthwhile, great workmanship, solid and reliable, and looks great!! Have a question that you want to ask us about this product? If so fill out our short ask us a question form. Here at Flightcase Warehouse we often get asked questions about our cases, here are a few of the common questions and their responses. FCW offer shipping to various countries within Europe. The displayed rates are all based on products between 1-20kg and 20-30kg. If your destination is not listed or you would like to purchase a larger item please contact for a price on +(44)1827 60009 or sales@flightcasewarehouse.co.uk, quoting your delivery address. International shipping prices are available on request. Please contact us on +(44)182760009 or sales@flightcasewarehouse.co.uk, quoting your delivery address. Please contact customer service on 01827 60009 or email sales@flightcasewarehouse.co.uk to talk to us directly. If you need to make a change to your order please contact one of our sales team on 01827 60009 and we will endeavour to help you. What do I do if my product is damaged? If your product is damaged please fill out our returns form which can be found as a link at the bottom of our homepage and we will contact you once we have received the form. What do I do if my product doesn't arrive? If your product doesn't arrive and you have been emailed a consignment number for delivery please contact the courier directly who will track it's whereabouts. If they cannot track it for you please contact us on 01827 60009. We use several courier companies and the post office to deliver your product(s). You will have a consignment number emailed to you before or on the delivery day with which you can track your parcel either on-line or on the phone. For Nightfreight deliveries call 01543 685566. Post office deliveries are sent first class. Please allow 1-3 working days. Can I collect my flight case? You can collect your product between the hours of 8am - 4.30pm by arrangement. Please call 01827 60009 to notify us. When will my flight case arrive? i) If you order your product before 12pm and your product is in stock it will be delivered to you the next working day. ii) If your product is out of stock we will deliver once it comes back into stock. iii) If your product is manufactured by us the estimated delivery time is 24-26 working days. iv) If your flight case is in stock but requires foam lining we will deliver to you within 4 working days. IF YOU REQUIRE A SPECIFIC DELIVERY DATE PLEASE CALL US ON 01827 60009 TO ARRANGE. 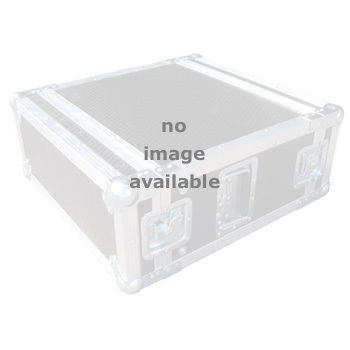 © Flightcase Warehouse 2019 - All rights reserved.